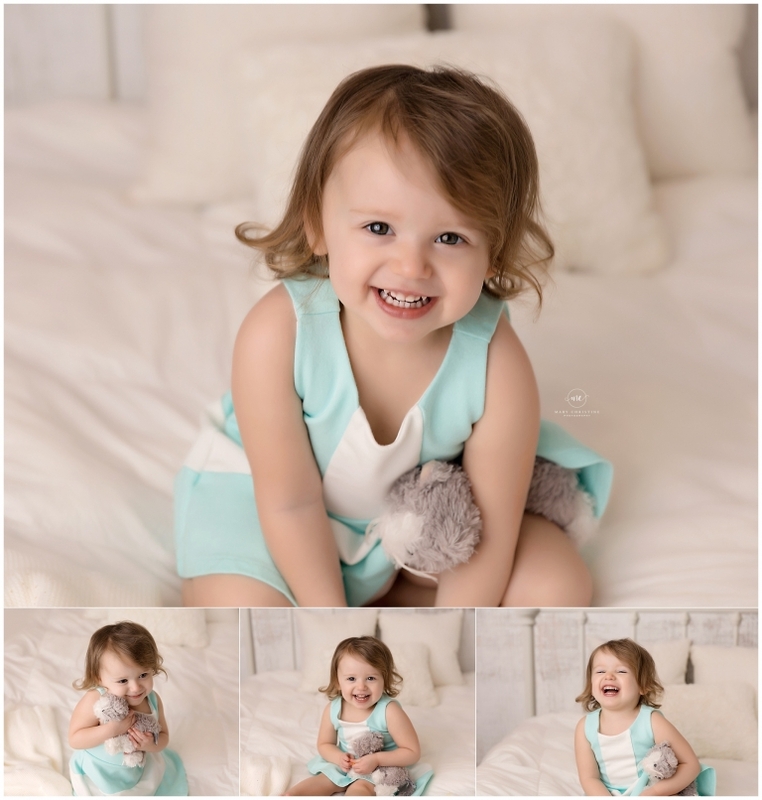 Welcome Miss Calia to the Mary Christine Photography blog! Well, technically not her first time on here! 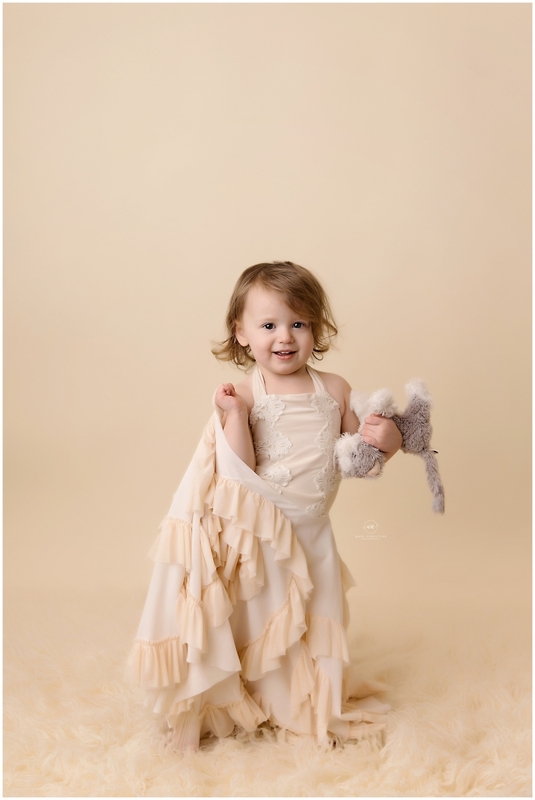 I have been honored to photograph this little lady since she was a newborn. It makes my heart so happy that her parents have trusted me for years with their precious memories. My goodness, she has changed so much in a year! 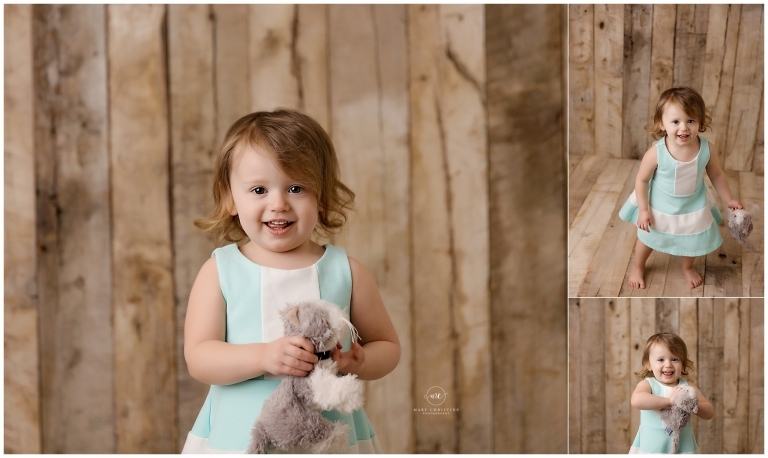 You can see her first birthday photos here. As most two year olds, Miss Calia took some time to warm up. It did not take long though before we were having a dance party with her kitty, eating M&M’s and snuggling her favorite lovey. Two year olds are my jam, friends. We get each other! This little lady has all the right moves, even taught me some new ones during our dance party. I didn’t ask her to hold up her dress, she just somehow knew it would look fabulous. Get it girl! This bed from Roses and Ruffles has been my favorite set up lately! 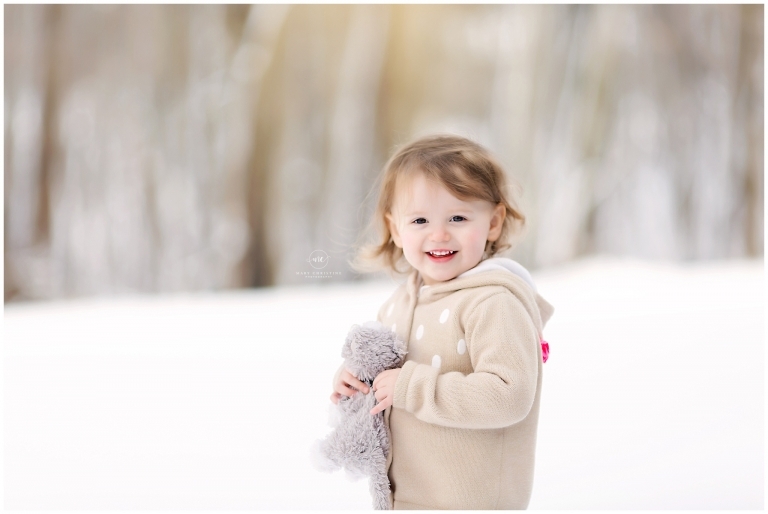 Kids love to roll around and play on it and it works well for family photography too! Calia loved snuggling her kitty on it too! Oh all those sweet expressions! You can just see that adorable personality oozing out! Thank you so much for stopping by the blog! Are you looking for a photography session? Please check out the blog and the portfolio. If you like what you see, please contact me to schedule your session!